You have been my best friend for many many years and I owe it to you and to everyone else to write a review so they can also be aware of your awesomeness! At the beginning I didn’t even want you. I was on a desperate hunt for licorice flavored snus and somebody on the forums told me that you had lakrits characteristics. I ordered you in the Los, not knowing back then that there was even a difference between los and portions. You arrived on my doorstep a week later, delivered by the cutest UPS man I have ever seen. I opened up the box and your shiny red jacket and gold top shone back at me, beckoning to be touched. The shock on my face was quite recognizable as I opened you up and looked at your midnight black interior. See you were only my second order, I had no idea what to expect or what our future together would bring. I was looking for you in portions but you came to me loose and ready for fun. To be honest I had no idea what to do with you. I delved my fingers into your tin to feel you, it was moist and sticky and you black immensity stuck to my palms like you were made of pure tar. To begin with I was quite perturbed. Your smell was not what I had expected. Soo rich in tobacco it’s like you were not even snus, but a concentrated extraction of nicotine that is so decedent that you took on qualities of fruit and berries. Almost sweet rather than savory, but definitely not licorice. I was originally very disappointed by that but once my disappointment wore off; I opened my mind to accept you for you and not what you aren’t. Back then there was not a lot of licorice on the market like there is today. You had your Catch, Offroad and limited edition V2 product and that was about it. I really wanted to get into Swedish Match products as I had liked the others I had ordered from them so I wanted to try more in their range. After complaining bitterly to the person who had once recommended you, I decided to give you a try. Having no ice tool back then, it was up to me to handbake you into a pris. Due to your luxuriously fine texture it only took a couple of goes before you transformed into a cylindrical wonder that fit perfectly in my mouth…and then wow! I had the honor of tasting you! The first thing that hit me was your salt. Your not the saltiest on the market but you're definitely up there. I can also taste your sweetness and your most favorable quality a smooth mellow finish that is reminiscent of all fine goods. Just like an expensive cigar or scotch, you have the air of aristocratic humbleness that is both enjoyable and admirable. 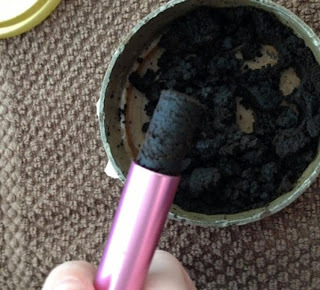 I love that you have the characteristics of the best of all snus, rolled into one small pris, and are yet mild enough to do continuously during the day. It is true that i am indeed hooked on you my friend, and use one can a day as unbelievable as that sounds! i just can never get enough! You are the king of all drugs, mild on my gums and heart, and sweet on my mind and palate. There is no other snus on the market that i prefer, and no other that i can dip all day and not get sick of. If i was stuck on a deserted island you would be all that i need, much more fulfilling and reliable then a man and more comforting then 1000 goose down blankets cocooned around my body. I can honestly say that without you i could not live. Your 8mg nicotine is more then enough to keep me satisfied and you are one of the few things i look forward having in my day. 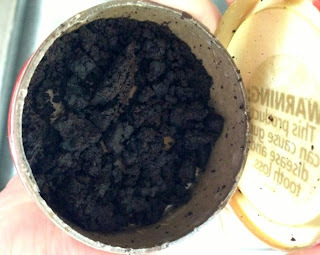 I recommend you to all those who use snus, and even those who dont! 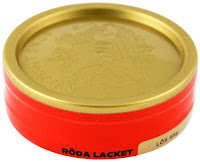 In my opinion you will not find a snus that is more well rounded, that encompasses the personality of ALL snus and that imparts a sense of peace and wellness on you as much as Roda Lacket. Your superior quality and tobacco aroma is hard to beat with any other brand. The grain is perfect, the taste is perfect and its smoothness makes me do a dance of appreciation. 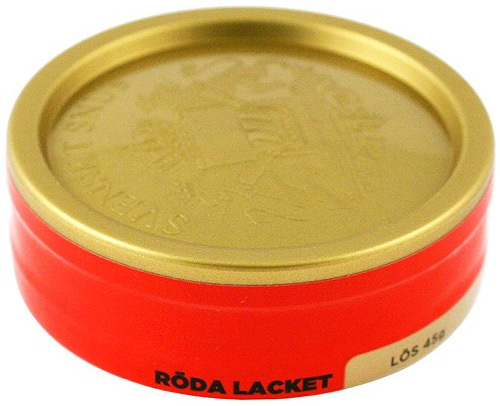 2 comments on "Röda Lacket Loose Review"